Yup! Although we were further to the south of you, on Cedar Hill Road almost directly across from the junior high school; our house would be just out of frame of this image along Cedar Hill and the very north west corner of the picture. We lived there from 1964-72. One thing that's interesting is that the little building on the East side of Shelbourne Street in the aerial photo, to the North of those four pretty similar white houses with the dark roofs, is currently a B.C. 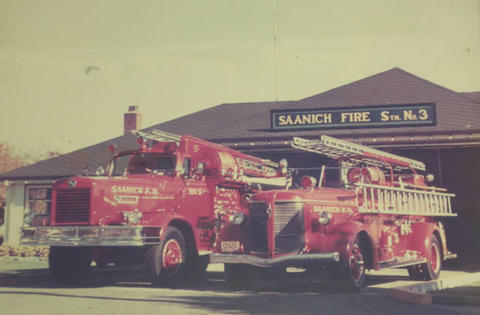 Ambulance Service depot ... but was the old #3 Saanich Fire Hall. 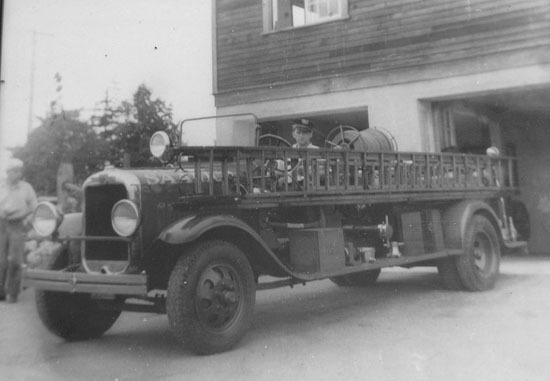 The building is exactly the same today as it was when it was the only fire hall in Gordon Head. 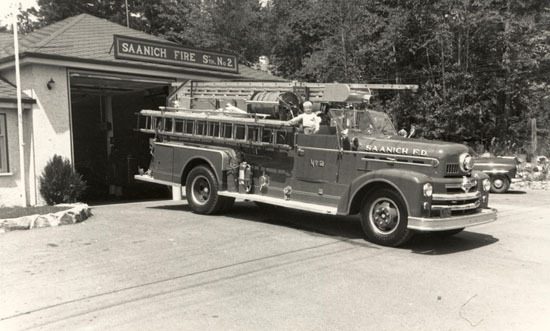 I'm pretty sure the #2 and #3 halls were purpose built by Saanich, and to exactly the same design. The #1 hall was over near Uptown on Douglas St, and the #2 hall was out in Royal Oak on Hamsterly Rd. When the #3 hall roll doors were open, we'd stop by as kids and chat with the firemen ... until a call came in, or they kicked us out. In those days, as kids, we'd be standing at the ends of our driveways after school - desperately hoping to see the Cablevision truck running cable up our street ... so we could finally get more than just Channel 6 and 12, and occasionally 2 or 8 if the conditions were right! An Anglican Church owned property. I can't wait to see how that ends up. The University Heights neighbourhood and Arrow Road specifically feature prominently in the Fugger origin story. The external materials have yet to be finalized but they are planning on using some Cor Ten steel on a portion of the Cedar Hill facade. Not sure if this fly-through video of University Heights has been posted here before. I generally really like the design and the pedestrian realm looks fantastic. I only wish Building A wasn't so wide, flat and monotonous looking. Edited by Brantastic, 02 December 2018 - 12:47 PM. Fixed that for ya. The software won't auto-display YouTube videos any more. Due for an upgrade. I remember when the current one opened in the 80's and to this day when you walk in, time has stood still as far as the color scheme and style. I remember seeing the film Adventures in Babysitting there when it came out, and then we snuck into another movie right after that and got away with it. Edited by Mystic-Pizza, 02 December 2018 - 04:51 PM. ^Honestly, I really hope so. It, and the gas station, really keep this project from reaching its full potential. New drawings were submitted to Saanich in October, but the file status is now listed as "On Hold." Wesbild Holdings is backed by some big bucks so I doubt it is financial difficulties. Are they getting blowback from Saanich planners? Every project has its detractors but rarely does it stop a development in its tracks this early. ^ or even Mayfair. The expansion was still half empty, last time I checked. And really Indigo and Sportchek (which just resulted in vacancies elsewhere in the city) were the only truly new tenants from what I recall, as most of the others just shuffled around from other locations within the mall. Edited by Brantastic, 07 February 2019 - 10:29 PM. There is only three/ four spots left open in Mayfair. Two by the new front entrance (restaurant space and behind it, across from it). Yeah, it has never been remotely close to half empty.